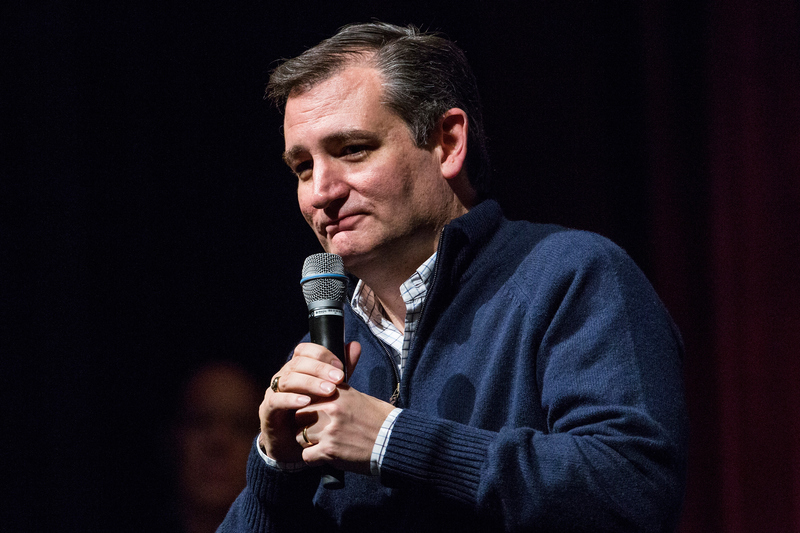 Republican presidential hopeful Ted Cruz saw stellar voter support at the Iowa Caucus on Monday. He is hoping to tap into the verve of equally excited GOP voters in New Hampshire for the first primary of the election season. The Texas senator is doing so in a way that strays far away from polished political statements and plays deeply on the personal. During a campaign stop on Thursday as well as the GOP debate on Saturday, Cruz opened up about his sister's tragic overdose death and the toll that substance abuse has taken on him and his family. Miriam Cruz, who was Ted Cruz's half sister, died at the age of 49 of an accidental overdose that has left the candidate reeling and wondering since that fateful day in 2011. Miriam was 12 years older than Ted and lovingly doted on him while they were growing up with her sister, Roxana. Ted recalled a happy childhood with Miriam, though things apparently changed when she delved deeper into an addiction that put her relationship with her half-brother in jeopardy. As he mentions in his memoir, A Time For Truth, "I found it hard to reconcile the bright, fun, charismatic sister I adored with the person who would lie to me without hesitation and who stole money from her teenage brother to feed her various addictions." Miriam's adult life was filled with some personal joy. She was married to Larry Maykopet, having tied the knot in 1984 and welcoming a son, Joe, into the world the year after. Their marriage would end in divorce in 1993. Ted insinuated that Miriam had been abused by her former husband, who has prior felony convictions and had been in and out of jail their entire marriage. Maykopet reportedly claimed that a car accident was the cause of Miriam's prescription drug addiction, telling The Daily Mail that "it was just a month but she got hooked." From there, Miriam reportedly began engaging in further petty theft to maintain her addiction. Cruz and his father staged an intervention in 1996. Their efforts ultimately failed, Miriam became resentful, and dove deeper into a life of crime. In and out of jail frequently for traffic offenses, shop-lifting, and other petty crimes, Miriam eventually settled in a Pennsylvania home she reportedly shared with a lover. She was awaiting trial for a string of charges when she died, including possession of a controlled substance, possession of drug paraphernalia, and public drunkenness. These tragedies are happening in human lives all over this country. It’s the human journey. It’s not an easy one. It’s fraught with peril. Sometimes people make decisions bound and determined to destroy themselves…you know, as a family, you wonder, ‘Could I have done more? Was there a way to pull her back, a way to change the path she was on?’ Those are questions you never fully answer. The Texas senator once again opened up about his sister during the Saturday night GOP debate, lamenting that issues of drug abuse such as Miriam's is an "epidemic." Addiction is never an easy subject to talk about. As Ted and GOP debate moderator Josh McElveen noted, the 400 drug overdose deaths reported in New Hampshire last year sadly shows that it's an all too common issue that affects more people than you'd think. Ted's ability to open up about his own personal experience — especially on the debate stage — marks a major turning point for the candidate as he attempts to honor the memory of his sister while also hoping to save those going down a similar path.